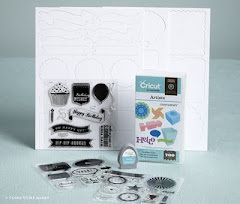 Close To My Heart has FABULOUS new kits called Workshops on the Go that include a Level 2 Paper Packet, an exclusive stamp set and cute embellishments for each new paper design in the Summer 2010 Idea Book. 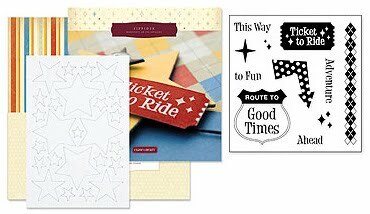 These kits also come with a full-color guide for creating two 12x12 layouts or 6 cards. The cutting and assembly instructions are included for both AND there are enough supplies to create the cards and the layouts. In fact, the guide shows examples of 2 more 12x12 layouts and 6 MORE cards that can be created with the same kit, using instructions and designs from our How-To books (Cherish, Imagine, Originals and Wishes). Today I am featuring the Zippidee Workshop On The Go kit. This kit is great for birthdays, holidays and vacations -- especially Disney vacations! 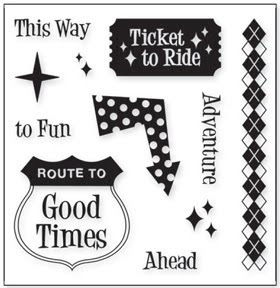 First we have the stamp set, Ticket To Ride, that is exclusive to the Zippidee Workshop on the Go. 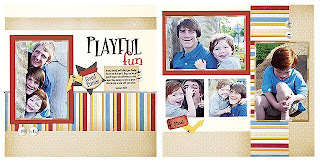 Pictured here is 2-page scrapbook layout featured in the guide. Next, are 6 cards that you can make with this kit. 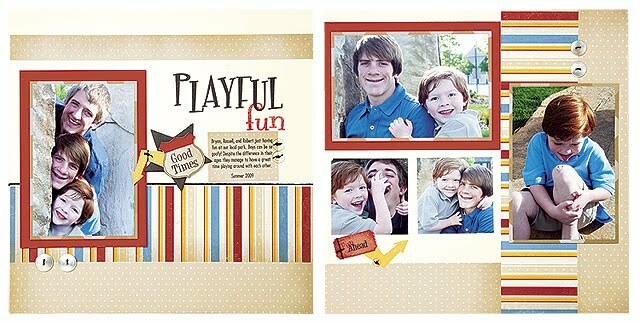 Pictured below are additional layouts and cards that can be completed with the same kit! The instructions for these additional projects use layouts and designs from our very popular How-To programs. I'll be holding a workshop for this kit on Thursday, July 1st.